NerdWallet Shopping’s scorings of the best stick vacuums are based on our analysis of the opinions of experts and shoppers like you. We recognize that consumers look for different qualities when selecting appliances, which is why we ranked top vacuums according to the features that matter most to shoppers. Picking a vacuum is no easy choice, so we analyzed some of the most popular models on the market to help make your purchase decision a little less confusing. To narrow down the field, we looked at expert opinions from review sites, such as The Sweethome, CNET and Good Housekeeping. Next, we analyzed user reviews to see what shoppers were saying about the various attributes of each vacuum. 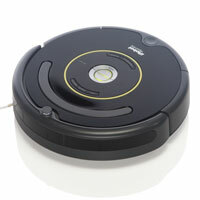 Here are our top robot vacuums. The Roomba 650 earns high marks from buyers in nearly every category we studied, including performance, durability, ease of use and cleaning. How well it cleans: 9.3. Performs well on bare floors and carpet. Can be noisy during operation. 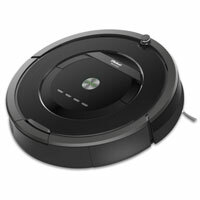 The Roomba 880 robot vacuum appeals to convenience- and performance-minded users. 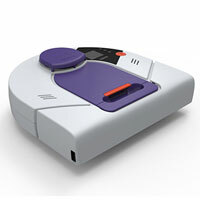 Its included remote control and simple-to-clean design make operation easy. How well it cleans: 8.9. Doesn’t perform well on rugs. Misses sections of rooms during cleaning. Buyers praise the Neato Botvac BV85 for its easy-to-use platform as well as its low noise level during operation. How well it cleans: 9.6. Can get stuck on thick rugs. 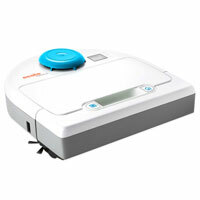 The iClebo YCR-M05-10 Arte robot vacuum earns points for its quiet operation and long battery life. 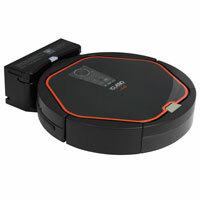 Consumers appreciate its included remote control, easy setup and optimal performance on bare floors. How well it cleans: 8.3. Performs well on tile and hardwood floors. Doesn’t perform well on rugs or high carpet. 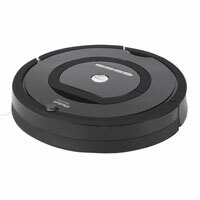 The Roomba 770 is easy to use, and its convenient dirt bin makes cleaning quick and easy. How well it cleans: 8.4. Easy to set up and program. Brushes need to be replaced over time. The Neato XV-21 earns high marks for performing well on multiple surface types. Misses dirt along edges/corners of rooms. Software error messages become common over time. Overall: The overall score considers how satisfied buyers are with the vacuum across 10 different dimensions, including factors such as how well it cleans across various surfaces, ease of use, durability and noise. How well it cleans: This score reflects how satisfied buyers are with the vacuum’s performance on carpet and hard floors, including hardwood, bare, tile and vinyl. This score also reflects how satisfied buyers are with its ability to clean up pet hair and debris. Ease of use: This score reflects how satisfied buyers are with the vacuum’s ability to maneuver through areas without getting caught, the process of emptying or cleaning out the robot vacuum and whether the vacuum was easy to set up and regularly program.